A professional photographer finds new inspiration when he sees Sunako’s picture in a magazine, and invites her to do a photo shoot in an old supposedly haunted house as part of a gothic theme. How did Sunako’s picture get in a magazine you might ask? The boys put it there of course! But after seeing Sunako in person, the photographer regrets his decision to use her as she’s just not photogenic. 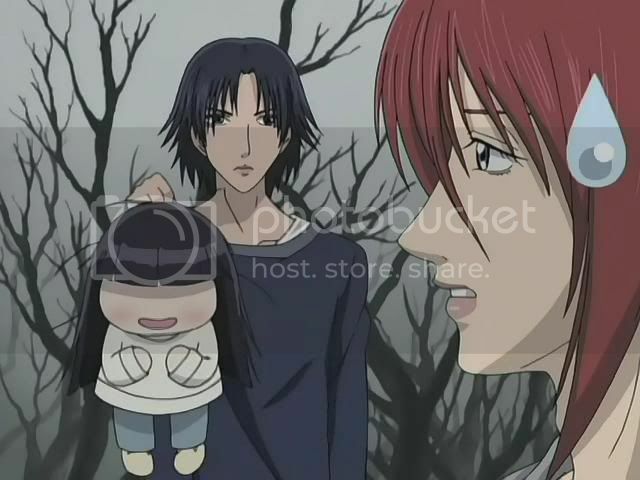 He decides instead to use Yukinojo instead due to his babydoll looks! And the poor kid has to dress in drag again! 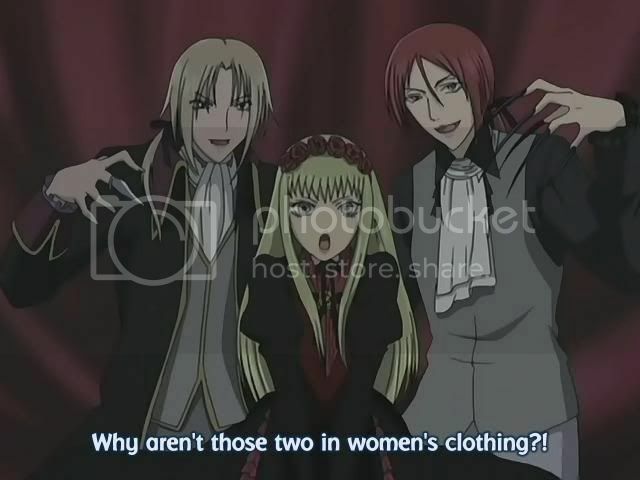 Takenaga & Ranmaru are asked to join in, but in goth attire instead. 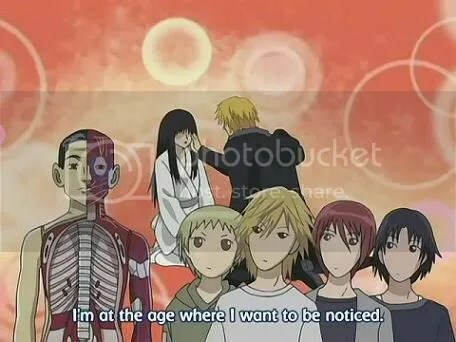 During a break, Yuki confesses to Sunako that he wished he had more guts to stand up for himself like Kyouhei does. He finally does take a stand for himself when the photographer tells him he thinks that Sunako is ugly. The dreaded “U” word! Yuki walks off, but the photographer bad mouths him now, and call him asexual due to his female like appearance! 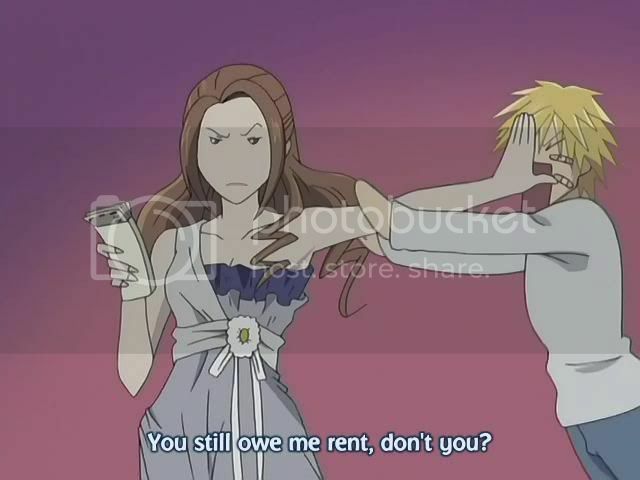 This sets off Sunako, who breaks his camera! 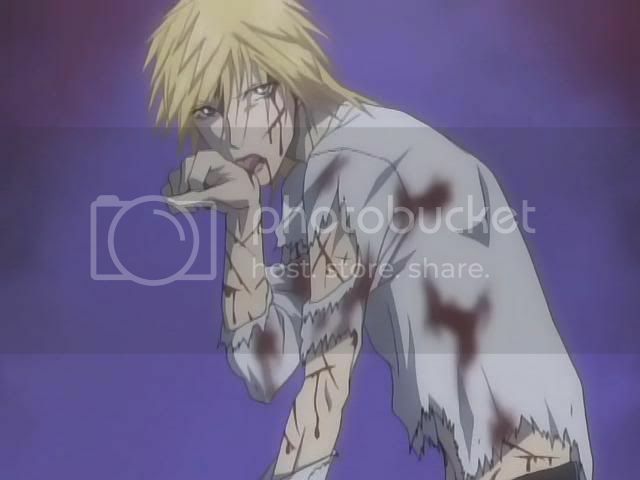 When the photographer shouts that he wants them to compensate him for the damages, Kyouhei freaks out a thought of having to pay for something when they don’t have the money, and crashes into a loose wooden board which bloodies him up a bit. Sunako and guys grab him and make a run for it, but the photographer is able to snap one last picture of them as they flee. Some time later the boys receive a 500,000 yen payment for the photoshoot. Curious as to which picture was used, they attend the exhibition at the gallery and are rather surprised at the “Feast of Beautiful Creatures” portrait that was used in the exhibition. Their financial bliss is short lived however, as the landlady also happens to be in attendance and confiscates their money for the shoot since they still owe her rent! 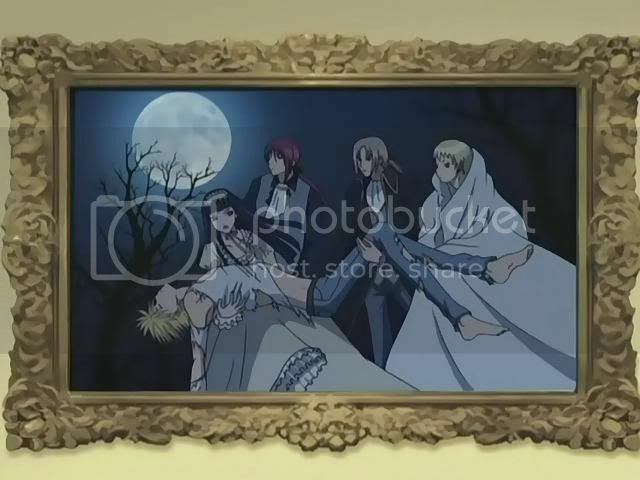 So the show ends in another less than happy moment for the boys as they have to shield Sunako from the press as she admires a gore portrait so as not to ruin the vision of beauty that the press have for her after seeing her in the portrait. Personally, I thought this was the least entertaining episode so far, even if there were a few funny bits here and there. 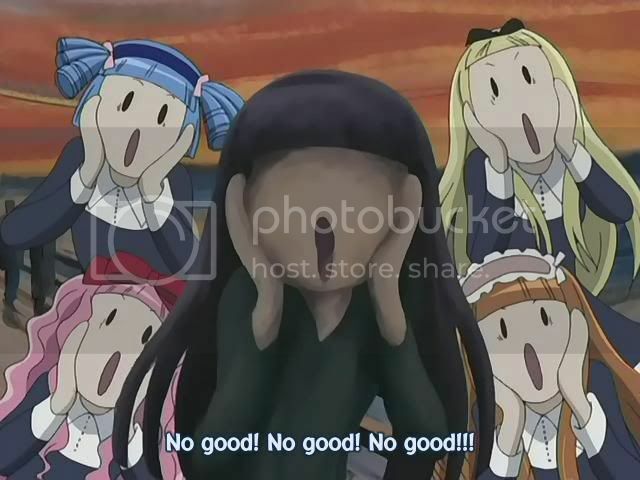 I think that my main gripe with this episode was that Sunako wasn’t the center of attention, and was brushed aside a bit to give Yukinojo some development. 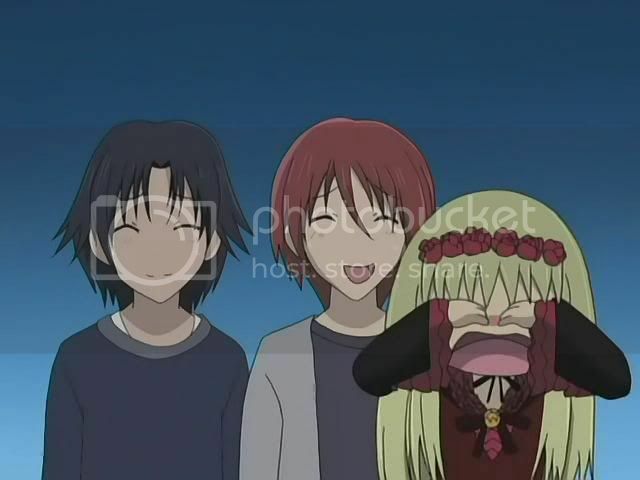 It also didn’t help that about 90% of the time she was onscreen, Sunako was in chibi-mode. ~ by 6six6 on November 24, 2006.